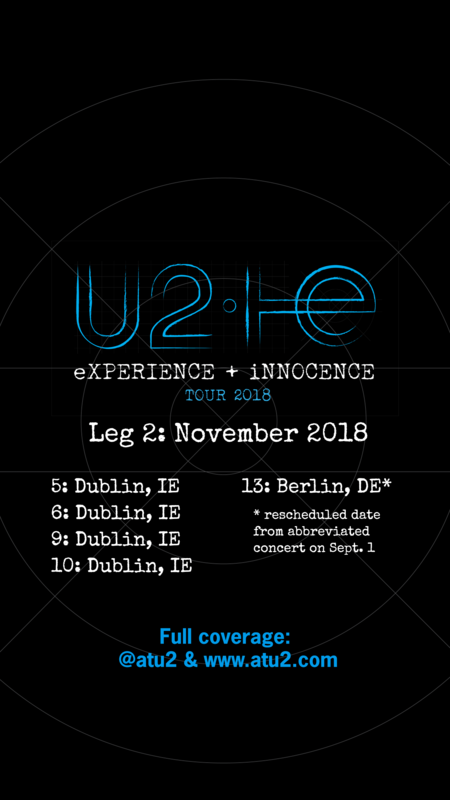 UPDATE, September 3, 2018: With the addition of a Berlin concert on November 13, we've updated the "Leg 2: November 2018" wallpaper below. If you downloaded it earlier, please download the newer version! The Experience + Innocence tour is just a week away, and we have a special gift to help you keep track: free wallpapers for your smartphone! 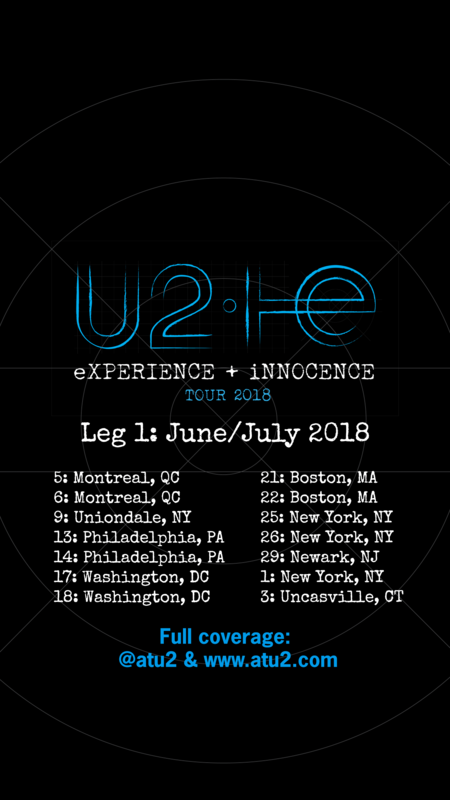 Below you'll find links to five images with all of the dates and cities that U2 is scheduled to visit on the E+I tour this year. 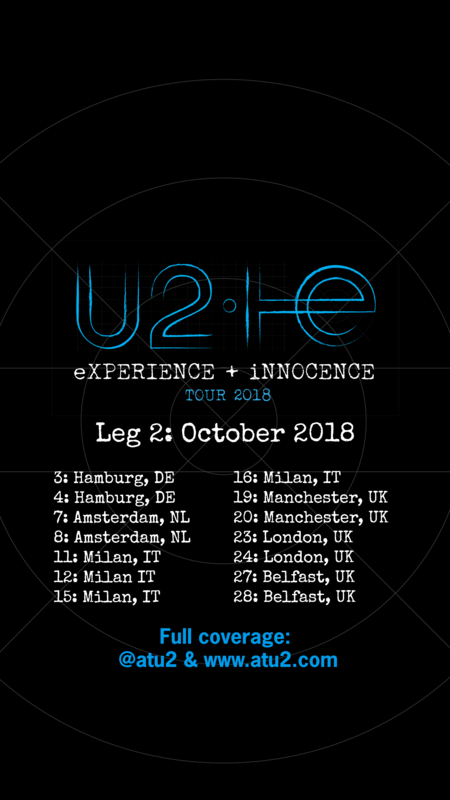 There are two wallpapers for leg one, and three for the second leg. You're welcome to save any/all to your phone and use them as your home/lock screen as the tour progresses. Links to see/save the wallpaper images are below -- enjoy! Leg 2: November 2018 - UPDATED!